Buddhist day in Bangkok – or so they told us. Today we went sightseeing. We saw lots of temples and learned how to pray there for good luck (what we of course did as it can’t do no harm). Bangkok seems to be full of temples with different kinds of buddha statues and you can just go in there, gaze at their beauty or join the locals to pray. In the end we ended up in famous Wat Pho and I was a bit overwhelmed, feeling a bit like in Buddhist wonderland. 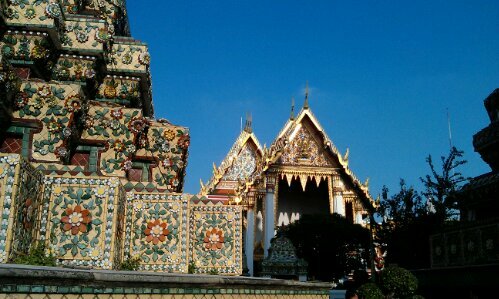 Wat Pho is just next to the royal palace and obviously THE temple to see. It was full of tourists. 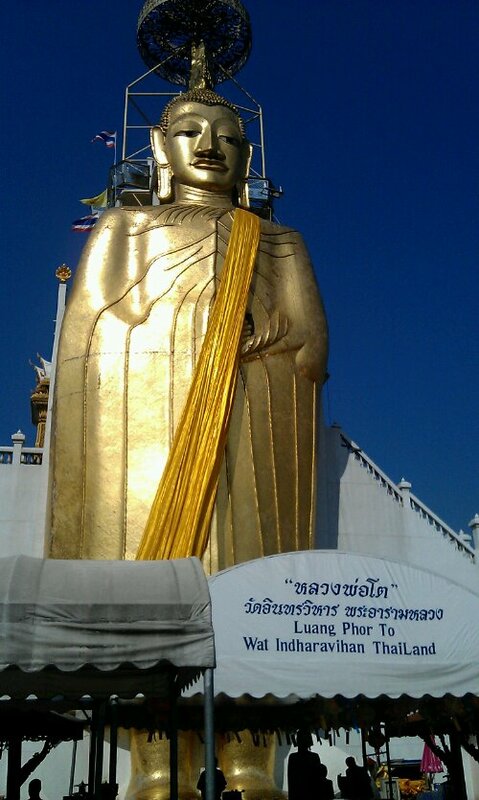 But also locals and monks that seem to be on a visit in Bangkok pay their respects to the big lying buddha. What to me looked quite funny was, that not only tourists took pictures of each other in front of the temples. No, the monks did exactly the same and where often also quite happy to take pictures with other tourists too. The whole area, which is actually quite big was just so beautiful with all the glimmering mosaics and ceramics. And the sun going down made it even more shiny. There where not only temples with different buddha statues but also galleries full of buddha statues from different regions and times (must be a great royal collectable as it’s said to have been a king to brought together all those statues). What we didn’t know at that time was: The bar on the corner of Soi Rambuttri where we rested that day was to become our spot in Bangkok. 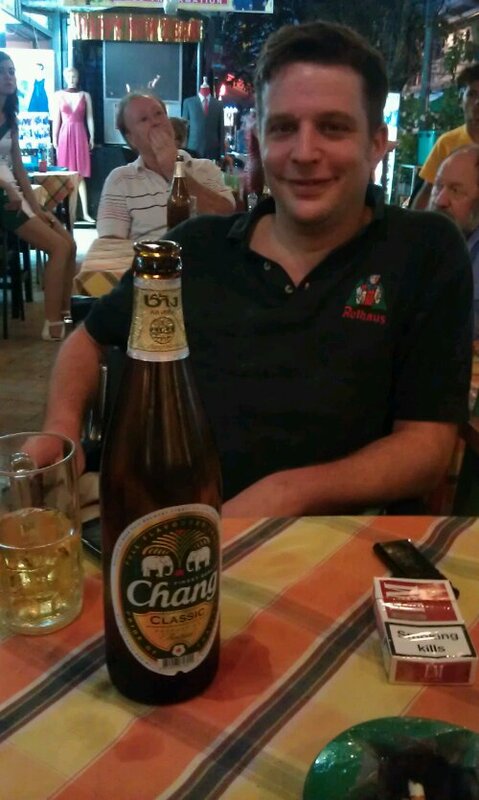 We returned here for a beer (Chang beer is actually quite nice and they sold it quite cheap) whenever we were in Bangkok, which was two more times. It was always nice sitting there, watching the people walking by while not being in the middle of all that touristy chaos. 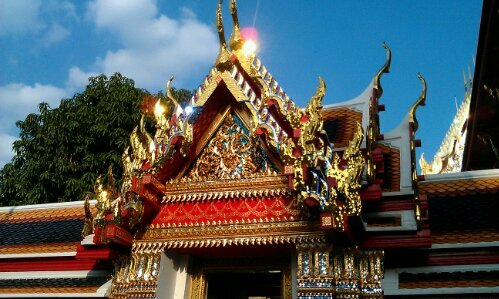 This entry was posted in Thailand and tagged Bangkok, Temple by kathatravelling. Bookmark the permalink.